Last Sunday the former SLPP flagbearer and failed 2012 presidential candidate Julius Bio returned to Sierra Leone, fresh from his studies at the Bradford University. Most new graduates would be frantically looking for employment and sending their CVs to employers. But it seems that Bio is either unable to secure an employment opportunity, or his supporters are insisting that God had ordained him to rule Sierra Leone. On his arrival in Freetown he was welcomed by a crowd which was well arranged by his supporters to show he is a very popular man. They hired vehicles that transported people from the provinces. In all, it was a planned show of crowd, which gave the impression that Bio is popular. However, this is nothing new to Sierra Leoneans. Anyone who is seeking high office can organise people, hire okada riders and cultural performers to attend his homecoming event, as long as he is able to pay. I am sure people like Kandeh Yumkella, Andrew Keili, Alie Kabba and John Benjamin will organise a bigger crowd when their campaign really get underway. There is huge unemployment in Sierra Leone across all age groups, especially amongst the youths. So it is easy for people to be engaged in such celebrations even if they are non-committed supporters. As a social Scientist by academic discipline, I was trained not to accept things uncritically. I always look at the bigger picture, the blind spot, which people don’t bother with, and not simply follow others sentiments. When the uncritical mind looks up at the Sun or moon in the sky, it would appear to him that they are moving. But the truth is that the sun doesn’t move round the earth, it is the earth that goes round. 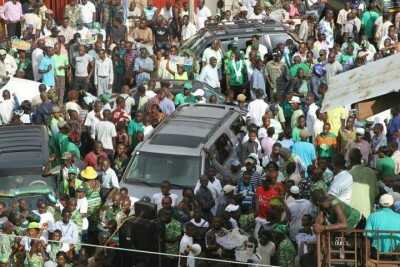 The people of Sierra Leone have seen far bigger crowds in both 2007 and 2012 elections which SLPP lost. In the last 2012 elections, under Julius Bio it was crowd as usual on the streets of Freetown that was enough to convince people that SLPP would win that election in the first ballot. Indeed Bio promised us a victory. The same sea of people carpeted the streets of Freetown in 2007 which the late SLPP NEC chairman Jah confidently declared that the SLPP had already won the elections, and the party was only waiting for voting to take place. SLPP lost both the 2007 and 2012 elections despite the hundreds of thousands of party supporters on the streets. In the case of 2012 under Julius Bio, it was a straight humiliating defeat for my party at the hands of the APC. Thus crowds surrounding politicians can be deceptive. Nothing new, nothing impressive and no hope with Bio if the party delegates made another mistake in re-electing him as the flag bearer, based on his acclaimed popularity, which did not reflect the results of the election. APC is the incumbent party; they are strong and awash with money and resources. They are extremely good at the politics of self-preservation no matter what internal problems they have or their popularity rating dwindling. They are also good at conflict management, even if risking unpopularity. They are ruthlessly uncompromising in strategic innovation on how to win an election. The SLPP delegates elected Julius Bio on what he told them during the 2010 flagbearer campaign that he was the only one that could stand up to APC violence fire for fire, and sadly the 238 delegates who voted for him believed that dangerous nonsense. But during elections in the country there was hardly any violence. The era of widespread political violence during Sierra Leone elections is over. Therefore Bio was elected on a false premise and campaigned on policies that were inconsistent with his questionable NPRC military junta records. There were over 1 million registered voters in Freetown alone in the last election. The total registered national votes were over 2 million, which means that the party that does well in Freetown will form a government. Bio is certainly not the person to compete with the APC in Freetown. The SLPP under Bio performed worse than any other SLPP leader before him, including not winning a single parliamentary or council seat in both Freetown and the North where SLPP had three MPs before Julius Bio lost all under his leadership. In any general election in Sierra Leone, the SLPP will need to win at least 60% of votes in Freetown and 20% in the north to have any chance of winning overall majority. Bio was a poor presidential candidate in 2012 and he would be the wrong presidential candidate to be trusted by voters in these critical regions to seriously compete with any APC presidential candidate that succeeds president Koroma in 2018. SLPP needs a presidential candidate who can fight and win votes in areas the SLPP has consistently performed extremely poorly, with the exception of President Kabba , who although completely unknown in politics, polled spectacular election successes in both Freetown and the north in 2002 . Unlike APC, the SLPP is cash strapped and cannot expect to campaign and win the 2018 general election. Julius Bio is not capable of raising the level of funds the party needs to mount a serious election campaign. In the last election Andrew Keili through his business contacts raised 300 million Leones and handed it to Bio for the campaign. Ambassador Allie Bangura paid for Bio to travel to Ghana to receive medical treatment after someone busted his head. Bio has a very poor international image and America had barred him from travelling to the USA. He even failed to attend a fund raising occasion which was organised by the SLPP North America chapter, after he was elected as the party’s flagbearer in 2011. By all indications therefore, Julius Bio is the APC’s preferred SLPP flagbearer aspirants. He poses no threats to the APC’s dominance in Freetown and the North. And because of his NPRC military junta excess baggage, he is a fair game for the ruling APC. Bio is also allegedly responsible for violence in the party. He is a polarizing figure and he is the least capable of leading a united SLPP to a general election. Bio’s re-election as the SLPP’s flagbearer later this year or next year, will be of immense strategic value to the APC’s election campaign in 2018. Indeed, APC government minister Balogun Koroma has said the APC would welcome Bio as their opponent again, because they had defeated him before and they would defeat him again. I strongly believe and I am convinced about this, that APC fears Andrew Keili, Kandeh Yumkella, Ali Kabba and John Benjamin. The APC are in awe of SLPP electing a centrist presidential candidate who can appeal to voters in the regions they control, and would therefore prefer instead to have Bio again as their opponent. Yumkella is a world statesman and through his contacts with world leaders and international businesses and investors, he has the capacity to raise hundreds of millions of dollars to match APC. He had also rattled the APC with his strategy of building a grand coalition as the most viable way of unseating the APC. Andrew Keili also, through his business networks and vast knowledge of fiscal management, has the capacity to raise huge funds to support the SLPP campaign if he wins the flagbearership. He is also a centrist with clean records and very popular in Freetown and respected across the country. Although a Mende, with his Mandingo ancestry from Guinea, he is often mistaken for a Creole because of his urbane and calm demeanor. But he is a man of steel and vision. He has a forensic understanding of what is wrong in Sierra Leone and as a policy guru he can tear the APC to pieces during national election campaign. He is also capable of winning the support of floating and independent voters which are critical to SLPP victory. Andrew is also respected in the international community having had an excellent working relationship with them through his CEMMAT engineering consultancy. At the beginning of this year, Andrew Keili held a meeting with officials of the ruling conservative party at their party’s headquarters in London, where he discussed governance issues and the Ebola virus in Sierra Leone. He also addressed the Oxford research group and the African Research Center. These institutions can influence our politics and policies in Sierra Leone, so it was a very useful and successful meeting. 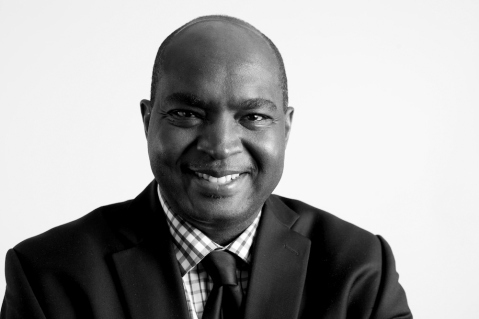 Ali Kabba is an authentic mobilizer and inspirational speaker. 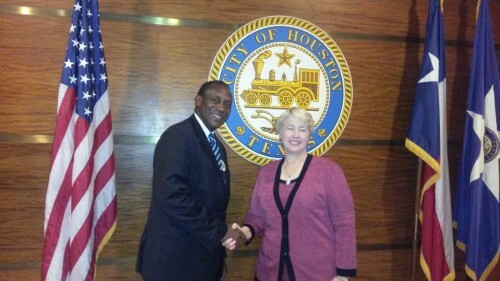 He has managed an organization that promotes and support African Americans in America. He is articulate and fearless but responsible. He can also lead from the front. SLPP have an abundance of presidential material. Elections are not won solely in the south east or by south east votes. As a party, if we really want to win, we have to think outside the box, check our primitive loyalty, abandon sentiments and look at Sierra Leone’s electorates voting patterns in the last two elections that we lost from a dispassionate and objective view. Historically the SLPP core votes are between 38% and 42 %, and this has always been the situation with two contrasting exceptions. Tejan Kabba pulled 70% of votes in 2002, the highest since SLPP came into being. On the other hand Julius Bio pulled a dismal 37.4% in 2012, the smallest share of national votes in any competitive election. Bio has argued that the party should re-elect him so that he can top up the 37.4% he got in the 2012 election. But we as SLPP should be more ambitious than Bio. If he had failed to top up the 38.7% the party had in the second ballot of the 2007 election and 45% in the first ballot under Solomon Berewa, I warn we should not gamble on him as we did in 2012, when Bio promised us victory, only to give us excuses for his failure and incompetence. Leaders don’t give excuses or blame others when things go wrong. Leaders take full responsibility when things go wrong. The most bizarre political stunt is that Bio and his desperate supporters are using the claims of election rigging to appeal to SLPP members to elect him again. To campaign on a failed platform is profoundly misleading. I am as clear on this as the blue sky. Yankuba Kai-Samba is a staunch member of the opposition SLPP. Th fact of the matter is that as recent history shows no single political party in Sierra Leone, APC, SLPP, PMDC etc will win national elections in Sierra Leone. Coalition is the vehicle to State House. As it is presently, the SLPP is not in any shape or form to build a coalition when the Party itself is split asunder. The Party needs to pull together and then ‘select’ an experienced operator who has what it takes to build a coalition and mobilise funds. Unfortunately, Maada Bio does not fit the bill on both counts. The writing is on the wall. Lonta! With regards his analysis, Mr. Kai-Samba exposed his ignorance by stating in Paragraph 12 that the APC are very good at the politics of what he termed ‘self-preservation no matter what internal problems they have or their popularity rating dwindling’. Furthermore, he posited that the APC are good at conflict management and that ‘they are ruthlessly uncompromising in strategic innovation on how to win an election’. Unfortunately, Mr. Kai-Samba in his myopic analysis failed to state for his readers how the SLPP (the oldest party) had fared so far in its conflict management process throughout its history. In 1967 for example (yours truly was not yet a living being), it is said that the demised of the SLPP was helped by another Kai-Samba (probably a relative of Mr. Yankuba Kai-Samba). History has it that this elder Kai-Samba was so bitter with the SLPP led by Sir Albert Margai that he connived with members of the then opposition to destroy the SLPP despite gestures that were made to him by party faithful for a conflict resolution and management. His actions led to the then incumbent SLPP government to become the first ruling party in Africa to be defeated at the polls by a more organised and mature opposition party. The rest in that era as they say is history. Fast forward to 2005, another Kai-Samba, only this time our very own Yankuba Kai-Samba like the older Kai-Samba before him became so bitter with the SLPP that he forgot about conflict management. Rather, he allowed his emotions to get the better of him, and he connived with other disloyal members to not only abandon the SLPP but to use lies against the party flag bearer Mr. Solomon Berewa in their campaign strategies. Just like it unfolded in 1967, again in 2007, the more organized APC defeated a divided incumbent SLPP government from power, thanks mostly to the likes of Yankuba Kai-Samba who helped put a knife into what held the SLPP family together (to borrow the words of Achebe in his book ‘Things Fall Apart’). The million dollar question is ‘why is history persistently repeating itself within the SLPP? Can such nefarious actions by disloyal and haughty members like Mr. Yankuba Kai-Samba be faulted to General (Rtd.) Bio who in 1996 had risked his reputation and life to bring the SLPP back to power after the party had spent over 30+ years in the political wilderness? In 1996, it was not a secret in Sierra Leone that had it not been for the handiwork of General (Rtd.) Bio, the late Dr. Karefa Smart was the rightful winner of the 1996 presidential runner-up election!! Furthermore, in paragraphs 13 and 14 of his write-up, Mr. Kai-Samba exposed himself when he posited that “The SLPP delegates elected Julius Bio on what he told them during the 2010 flag bearer campaign that he was the only one that could stand up to APC violence fire for fire, and sadly the 238 delegates who voted for him believed that dangerous nonsense”. He concluded in paragraph 14 that ‘during elections in the country there was hardly any violence and that the era of widespread political violence during Sierra Leone elections are over. Therefore, Bio was elected on a false premise and campaigned on policies that were inconsistent with his questionable NPRC military junta records’. What I find contradictory in this conclusion is what Mr. Kai-Samba penned down in paragraph 22 in his write up which read thus: ‘Ambassador Allie Bangura paid for Bio to travel to Ghana to receive medical treatment after someone busted his head’. Either by deception or lack of knowledge, Mr. Kai-Samba failed to state that Bio was wounded when SLPP supporters were attacked by APC supporters in concert with the national police in Bo during an SLPP campaign trail. Bio was not the only one wounded. Rather, several SLPP supporters were wounded, some arrested and even one of them shot dead. Furthermore, properties worth millions of Leones were destroyed. This was not an isolated incident. In Freetown, an SLPP constituency chairman Mr. Abdul Aziz Carew was beaten into a coma by APC supporters. This was the same in Kono and some place in Kambia. Therefore, it is very insulting that a man like Mr. Yankuba Kai-Samba who had once ganged-up to send the SLPP into opposition can write such nonsense from the comfort of his overseas home by describing such events as ‘a violence-free election’? Several of us on the ground were au-fait with the fact that had it not been for Bio’s stature, the SLPP could have been reduced to ‘banana pop’ in the last election by the APC. If you are in doubt reflect on what happened in the 2007 elections even though the SLPP under Berewa had the incumbency advantage.. Finally, Mr. Kai-Samba stated in Paragraph 16 that “The SLPP under Bio performed worse than any other SLPP leader before him, including not winning a single parliamentary or council seat in both Freetown and the North where SLPP had three MPs before Julius Bio lost all under his leadership”. To this, I would ask Mr. Kai-samba kindly to tell when in the history of the SLPP after Sir Milton Margai had the party won elections when in opposition? All the elections that the SLPP has lost including the 2007 election in which Solomon Berewa scored 42% in the run-off had happened when the SLPP had the incumbency advantage. In 1977 the SLPP under Salia Jusu Sheriff lost all its Parliamentary seat with the exception of the one contested by the late Manah Kpaka. This was the precursor to the APC conducting a referendum in 1978 for a one party state. You must be kidding Mr. Kai-Samba if you fault Bio with that tragedy. Currently, with the exception of Mr. Andrew Kailie, John Benjamin and Bio, all the other current front runners in the SLPP including Dr. Yumkellah and Alie Kabba would find it difficult to win ordinary parliamentary elections in the constituencies from whence they come from, and yet you have so much faith in them. Brother you need to do a soul search. I hope to one day read something from you about the APC’s mishap, corruption and maladministration in Sierra Leone, and not just been an eternal critic of Bio and other candidates in the SLPP that you do not like. Truth is bitter. Kai-Samba is saying the truth. With Bio, SLPP cannot win State House. I was in Bo recently and concluded that with the fanatics following of Bio, all is lost. SLPP CANNOT win any presidential election. While SLPP is now in disarray many things will come to pass without any one knowing. The energy of SLPP members is wasted on flagbearership while APC positions itself. Census will come to pass and more constituencies will be carved out in APC strongholds and there will be no opposition party to raise an eyebrow. This is because we are too fixed on Candidate Bio and have abandoned the major issues facing the country. It was the fixity of some people on certain candidates that led to colossal loss of a ruling party in 2007. APC is aware of that fall out. That’s why they are putting their house in order while SLPP continues to to self-destruct. With what is happening in SLPP, SL will become Tanzania where they have multi-party democracy but only one party continues to win election. Tanzania will vote this week but the winner is already known. The party of Nyerere will win because the opposition is for ever weak. Botswana, Namibia, and South Africa all have multi-party democracies but the ruling parties of these countries always win. SLPP is yet to learn from the realities of these countries and look for truly strong candidates that can stand up to the ruling party. Mr. Yankuba Kai-samba is a very confused man. God alone knows how many times he has bolted from the SLPP only to come back and declare himself a staunch member of that party. At least Maada Bio, his arch enemy, has never been associated with any other political party in Sierra Leone. Therefore, when attacking the character of any member of the SLPP, Mr. Kai-samba should explain why he quit the SLPP for the PMDC and why he returned to the SLPP. The writer’s article is full of contradictions. At one point his arguments give the impression that the APC cannot be defeated at the polls. But he goes on to contradict that reasoning by suggesting that Kandeh Yumkella, Andrew Keilie, and Ali Kabba are capable of defeating the APC. What sense does that make? Mr. Kai-samba should come out and admit that his hatred for Maada Bio emanates from the fact that Bio’s candidacy diminishes any chance that Andrew Keilie, Mr. Kai-samba’s cousin, may have at winning the SLPP flag bearer elections. Why does the title have nothing to do with the content of the article? Not a word about the details and context of Bio’s alleged statement that the president has been an effective leader. A better title would be “Why SLPP Should Not Give Maada Bio the Nomination Again.” That would make more sense because that is what the article is about. It’s interesting that Mr Makevelli cannot spell his own name, but is able to discern that Mr Kai Samba is a poor analyst. There are people who look at the sky and think that the sun is moving. Enough said. Yankuba Kai Samba bravo once again, this piece is brilliant and enlightening. SLPP has many candidates that can compete with the APC. We need the strongest possible candidate and not a candidate that was thoroughly beaten and till date has made no progress in winning over those in opposition areas. It’s hard for me to understand why anyone would put any confidence in Maada Bio. If reports are to be believed, Bio had his “studies” sponsored when he was forced from power after his last coup. Is EBK sponsoring his studies this time? Is Maada Bio a pawn being used by the APC to destabilize the SLPP? I’ve always found it curious that the current government can always fine any journalist it has a problem with. This government can shut down radio programs without due process. It can remove an elected VP and appoint a new one without any regard for the constitution. Plus the government can knock down structures and lay claim to the land. However, when it comes to the destructive elements within the SLPP who are said to be supporting the failed former flagbearer Bio, this administration becomes completely powerless. These supporters are allowed to be as lawless as possible with the blessing of the EBK government. 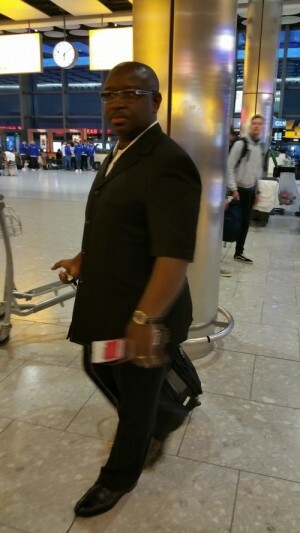 When Bio is ready to tour the country, he will have complete support of the EBK Administration. This will be under the guise that Bio is embarking on Ebola sensitization. This will be advertised as evidence of EBK’s democratic credentials. Maada Bio is bought and paid for. He is not a leader, he is an opportunist. He very well knows he’ll never be president of Sierra Leone, so he has to seize this last opportunity to enrich himself. If the SLPP allows its party to be highjacked by an interloper hell bent on destroying them, they will get what they deserve. Kai-Samba, you can be what you are or whatever you want to be. Whether you look to the sun or moon from south or east, this has nothing to do with Julius Bio. To be frank you are a very poor analyst. If you support Mr. Yumkella, well and fine, keep it up and campaign for him. If we start criticizing ourselves, we are moving nowhere. We will only be destroying our party; and you said you are a staunch member of SLPP, well those words should not come from you my friend. Behave yourself as a responsible partisan. Yankuba Kaisamba is one of those who never see any good thing about Maada Bio even if the whole world say so. So his script is not a surprise to some of us. What I know and I believe many people will accept is Maada Bio is a gentleman, unassuming and very disciplined person. He is a Sierra Leonean who believes in unity and progress. He is highly educated which is a gateway for him to get employed anywhere in the world but prefers to come back home to contribute to the development of his people and his country. People like Kai samba would want Maada to stay in the UK to tow the queue for available jobs he too is queuing for. Yankuba in one of his misleading article said that Maada lacked the ability to understand unemployment and therefore did not have the capacity to to help people into employment because according to him ‘ Maada had never been employed before. I replied to him to say he was missing the point and that his statement lacked analytical view of the subject matter. I pointed out to him that a person once unemployed will understand the evils of unemployment better than anyone who is gainfully employed. We need people who can speak the voice to unite our party and not people like his kind.